walking on the sidewalk to Madeleine Point) to CELEBRATE and EDUCATE about our one precious ocean. In addition to the March, this family-friendly event will feature a few beach activities focused on plastics, some ocean experts, a beach clean-up (bring work gloves, if you have them), face painting and more. BLUE is the color of the day! You might also consider creating an ocean-themed costume (contest! ), a small float (that is on a pulled wagon), or some other type of display that shows a message about caring for our ocean. We are trying to make this as plastic-free as possible, so please consider bringing your own reusable water bottle. Water and compostable cups will be on hand. Please help spread the word to students, friends and family! Students who are 13 years and older may sign up on the web site. HMS students who are younger than 13 can sign up on this internal Google doc (the link is also on the HMS Library web page). Students in 4th grade or below will need to have an adult with them, and the adult will need to complete the RSVP form. We thank Maddy Corson, HMS 8th grader, for our wonderful logo design at the top of this mailing! 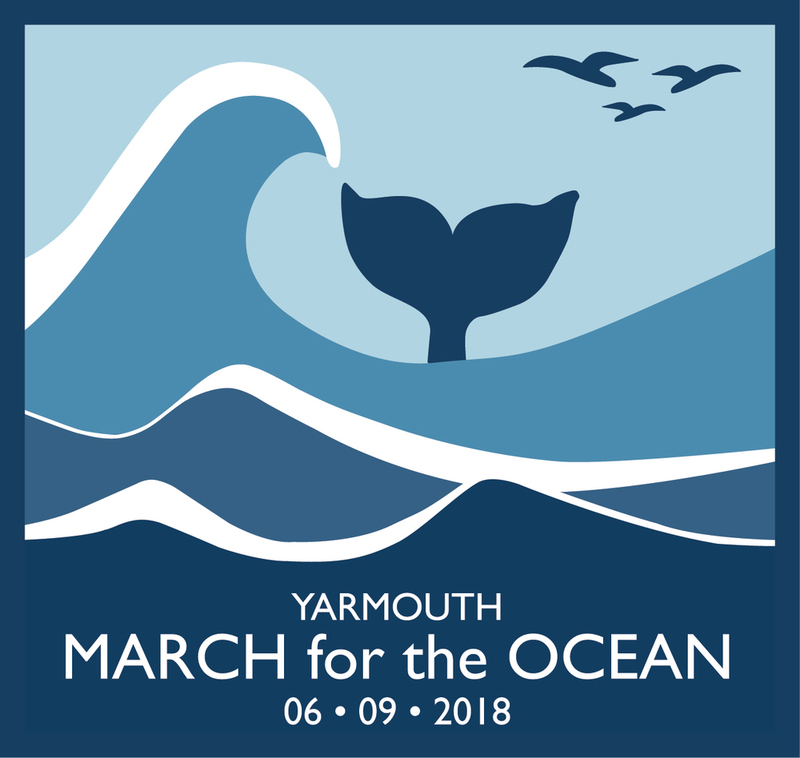 This March - which we hope will be the first annual - coincides with World Oceans Day Weekend, and is also Yarmouth's graduation weekend, so bring family and friends to this fun, short (approx. 1-hour) event! Show that you care about the ocean and join us on June 9th. The ocean - OUR ocean - is important to our community and our world!